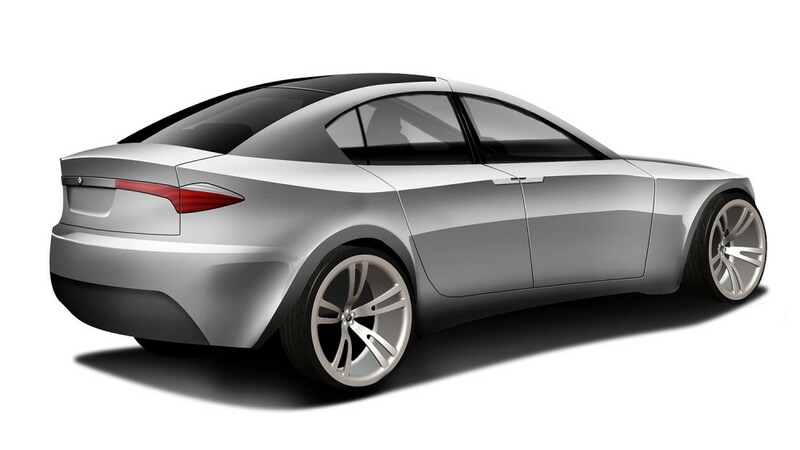 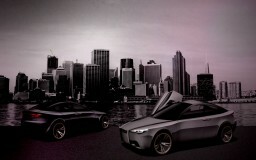 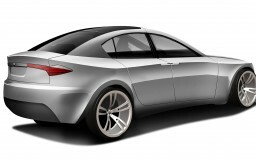 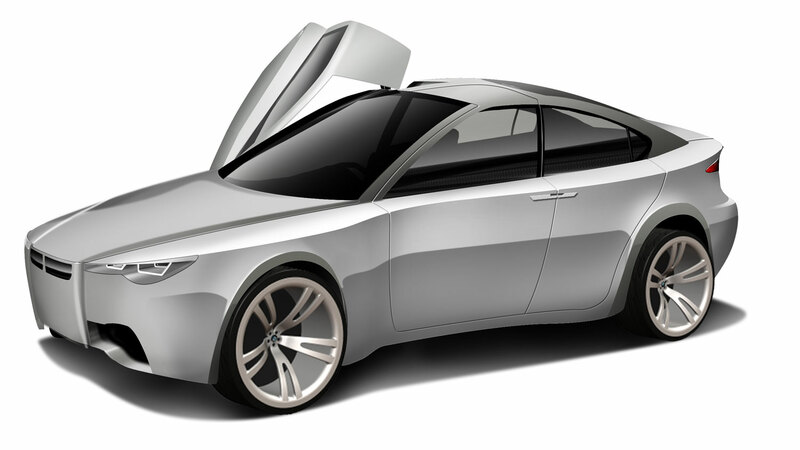 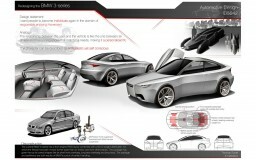 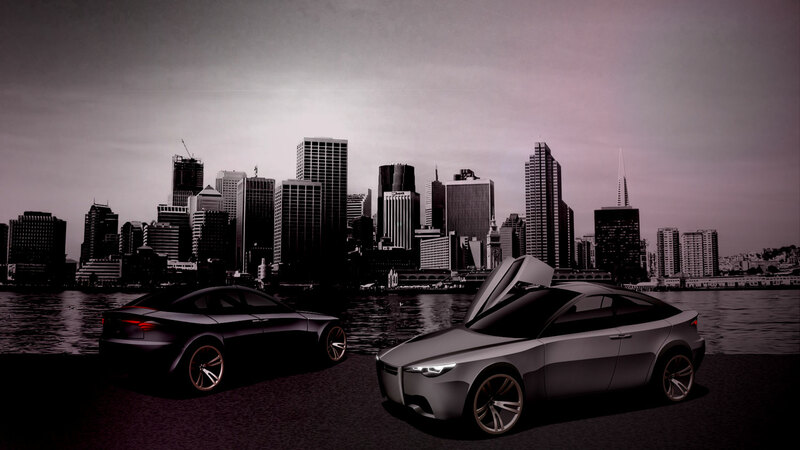 This is a concept for the next 3-Series featuring a central driving position and electric motor. 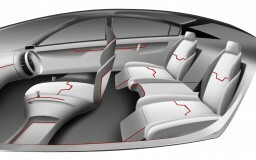 The central driving position gives the driver a better view of the road and feel of the car, while the passengers also get to see out through the windshield. 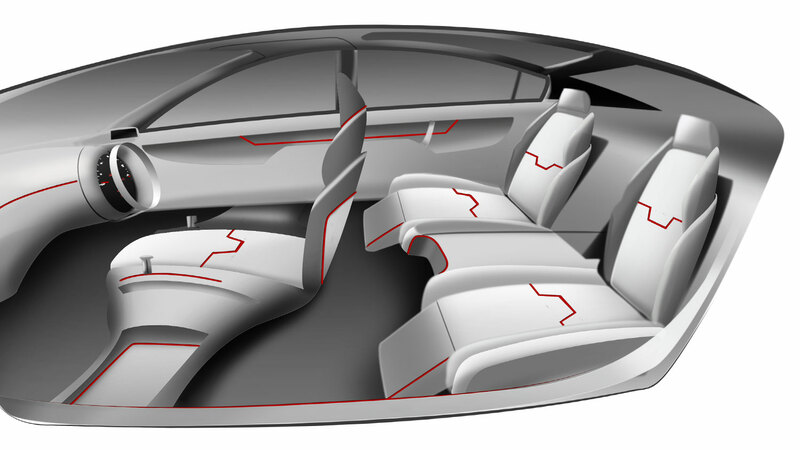 A 50:50 weight ratio is achieved by balancing the weight of the batteries throughout the car. 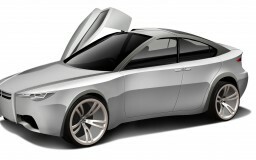 To maintain BMW’s handling the electric motor has been placed between the rear wheels, keeping the unsprung weight low. 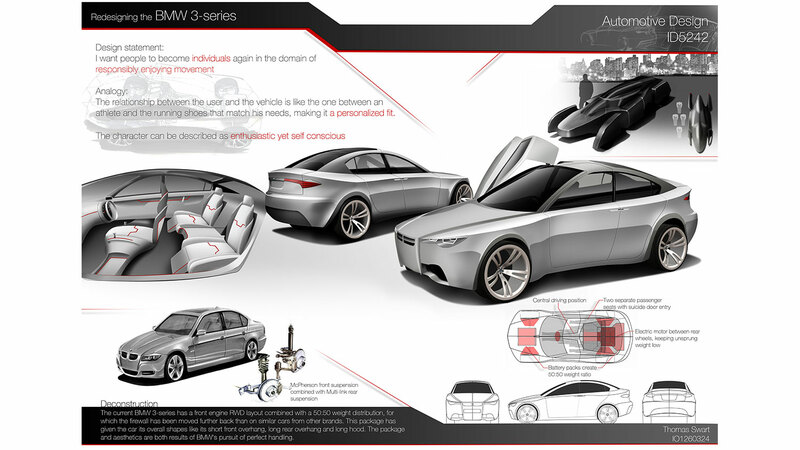 To make the car accesible the front doors open upwards taking a part of the roof with it, while the rear doors are suicide doors.